Take I-10 West to I-310 South Exit just past Kenner. Travel I-310 South for 10 miles. Take Exit 10 to merge onto LA-3127 N toward Donaldsonville. Travel Hwy. 3127 for 22.6 miles and exit at LA 20. Turn right on LA 20 East (North bound) and travel 2.8 miles till you get to LA-18 (River Road). 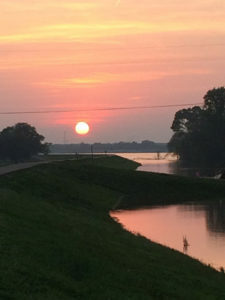 Turn left on River Road (LA 18 West and travel 2.6 miles to St. Joseph Plantation on the left. Parking lot is marked. 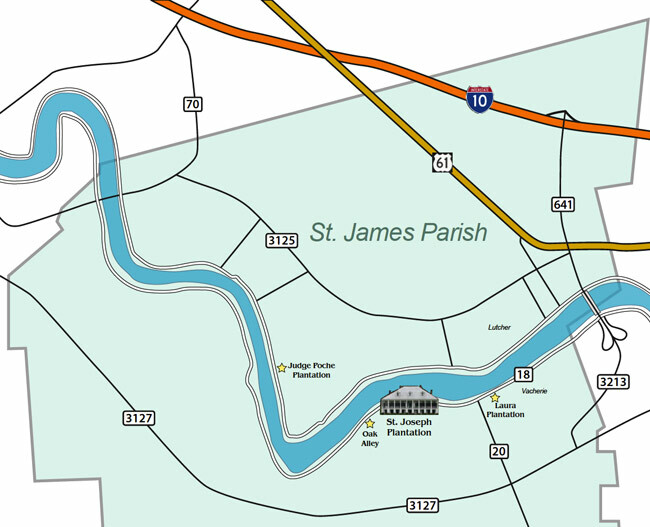 Take I-10 East and travel 36 miles to the Exit 194 (Lutcher / Mississippi River Bridge ). Travel Hwy. 641 which turns into Hwy. 3123 for 6 miles until you cross over the Mississippi River Bridge and exit La. 18 ramp. Turn left on River Road (LA 18 West) and travel 7.7 miles to St. Joseph Plantation on the left. Parking lot is marked.